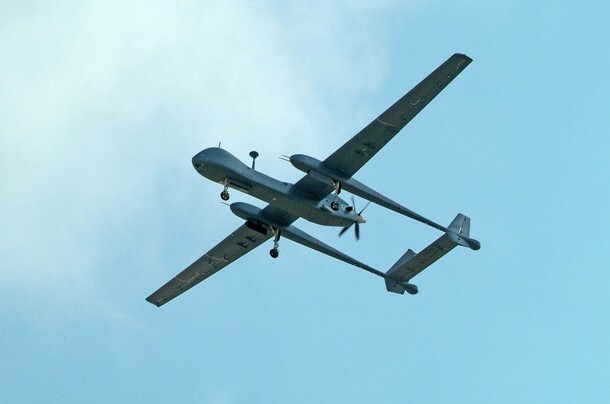 The Heron or Machatz-1 is an Unmanned Aerial Vehicle developed by the Malat (UAV) division of Israel Aerospace Industries. It is capable of Medium Altitude Long Endurance (MALE) operations of up to 52 hours’ duration at up to 35,000 feet. It has demonstrated 52 hours of continuous flight, but the effective operational maximal flight duration is less, due to payload and flight profile.